Author AdministratorPosted on January 23, 2019 January 23, 2019 Categories Newsletters, VideoLeave a comment on What Are the Best Ways to Distribute Legal Videos on the Internet? When it comes to marketing your legal practice, there are a number of tools available at your disposal. These range from monthly newsletters, to attending networking events, to paid advertising. Some of these, we would argue, are less effective than others. For instance, while plastering an oversize image of your face on a bus bench is an effective way to get seen, it does little to elevate your firm in the minds of potential clients. Other tactics however, such as video, can be highly beneficial. As statistics show, video is an incredibly popular method of delivering a message, and the technology is only expected to grow. Video is also a method uniquely suited to attorneys wishing to raise their digital profile, build trust with visitors to their website, and attract more clients. 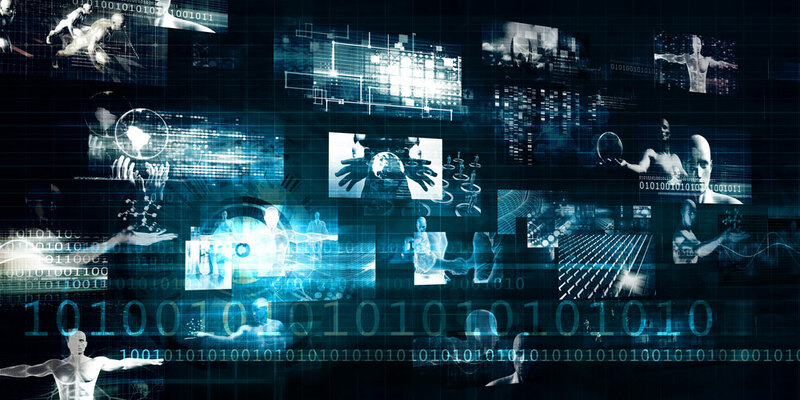 Keep reading to learn about some of the reasons why video is so effective for law firms, as well as where the technology is headed. If you have questions about producing your own video to be featured on your website, we can help. Call our office to learn more. A recent survey conducted by Wyzowl found that video marketing is as popular as ever with businesses. Eighty-five percent of those surveyed said they regard video marketing as an important part of their marketing strategy, while 78 percent reported a good return on video investment. Meanwhile, Silicon Valley tech giant Cisco has projected that more than 80 percent of all internet traffic will be video by 2021. Currently, more video content is uploaded to the internet in 30 days, than the major US televisions have created in 30 years. Put simply, video is a widely used marketing tool because it works. Most consumers would rather watch a video explanation than read lengthy product description. The law is dry, and can be difficult to explain to people in a way that’s relatable. 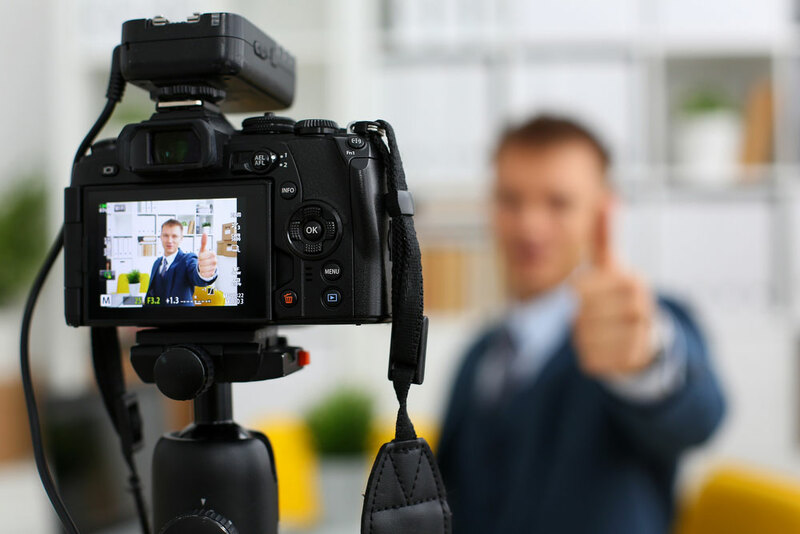 While a long blog post on your website can adequately explain why you’re an expert in a given area, you have better chance of keeping a potential client’s attention with a well-produced video clip. If done right, the payoff of a video can be high. If you’re already using a website to advertise your practice, you’re more than likely aware of basic SEO practices. What you might not know however, is that your site isn’t fully optimized if it isn’t making use of embedded video. Remember, Google and other search engines are increasingly ranking websites with video higher than sites without video. According to Moovly.com, a site with embedded video is 53 times more likely to show up on the first page of Google, a fact that may or may not have to do with Google’s purchase of video giant YouTube. In addition to ranking, video brings other benefits as well. According to Wistia, video can lead to an increase in the amount of time that visitors spend on a company’s website. Wistia’s research showed that people spent 2.6 times longer on websites with video as opposed to those without. The amount of time visitors spend on a particular website ultimately has an effect on a site’s ranking. The authors further noted that people report feeling a mix of emotions toward attorneys including admiration and resentment. While there’s probably no way to completely change such entrenched public perceptions, these perceptions can be combatted. Video can help due to its inherent transparency. It’s a person, not some text on a page. We’re living in a world where every nearly every teenager in American is an expert in video production. This is thanks to the rise of social media sites such as YouTube, Vine, Instagram and Facebook. As these kids bring their talents into the work force, video is sure to evolve as a marketing tool. Now is an optimal moment for those businesses not using video to make a move in a new direction. The threshold to the video marketing world is wide. That could change in the coming years as the field becomes more crowded with visual-content producers. Why Aren’t You Using Video on Your Site? If you’re an attorney whose website still isn’t making use of embedded video, now’s the time to consider a change. BAR digital media offers expertly produced video packages for attorneys practicing family, personal injury and employment law. Each package is competitively priced, and can be tailored to proudly display your firm’s logo and contact information. Additionally, BAR offers custom video packages. If you have questions, contact our office for more information and to find out how we can help you. What’s Behind the Rising Popularity of Legal Newsletters? Newsletters have once again become a popular method for lawyers to reach their referral audience. This isn’t just idle marketing talk. Statistics back it up. This article is for attorneys interested in getting more referrals. Keep reading to find out why newsletters have found their way back into favor with legal marketers, and why you might want to add a newsletter to your own marketing tool kit. Not surprisingly, it appears that advances in smart phones are driving the resurgence in newsletter marketing. Medium sited Quart’z Global Executive Survey, which found 94 percent of top executives get their news from newsletters. Consumers are increasingly checking their email on the go. Seventy-five percent of those surveyed said they use their smartphones to check the news. Newsletter design has changed as screens have gotten smaller. This means newsletters have become more “sleek and focused.” Furthermore, because smart phones come with a wealth of distractions, a newsletter has to be damn good to grab (and keep) someone’s attention. In other words, cell phones are forcing marketers to do better work. Medium also noted that as the newsletter format has changed, so has its mission. A resurgence in newsletter popularity represents a great opportunity for attorneys to include this tool as part of their marketing strategy. Attorneys have unique potential to offer valuable bits of information to their contacts, and newsletters are the perfect tool with which to share this information. A successful monthly newsletter might include a punchy 250-word write up about a change in family or bankruptcy law. This might include a link to a piece of content highlighting the change in a way that’s easy for readers to understand. Those who practice criminal, personal injury or worker’s comp have even more opportunities to offer something attention grabbing with each monthly newsletter. By staying on the top of the contacts’ minds, the attorney is more likely to generate referrals and repeat business. This is relationship marketing 101. If newsletters didn’t offer a return on investment, they would have fizzled out years ago with the dial up modem. But according to a report by marketing firm Montetate, newsletters drive more conversions than any other marketing channel (i.e. social media, advertising, etc.). According to 2018 statistics maintained by online advertiser WordStream, 80 percent of retail professionals indicated that email marketing is their greatest driver of customer retention. 77 percent of consumers prefer to get permission-based promotions by email as opposed to phone or social media. With the number of email users in the US projected to grow to 254 million by 2020, there’s plenty of reason for businesses to invest in email marketing for the near future. Newsletters Work – So, Why Aren’t You Doing One? Maybe it’s a matter of not having enough time. Maybe it’s the fear of staring at a blank screen. Not convinced that newsletters can bring enough value? Whatever the reason, it’s important to consider the money you’re leaving on the table by omitting a monthly newsletter out of your marketing strategy. You have little to lose by giving it a shot. That said, you need to make sure your newsletter is done right if you want it to be effective. Here are BAR Digital Media, we know what works and what doesn’t. Generally, our newsletters are short, punchy, and entertaining. They stand far above the legal dribble written by most attorneys. Our newsletters are engineered to offer value to your network which will keep your name on the top of your contacts’ minds. After all, your greatest source of clients is your referral network. If you’re not continuously reaching out to them, no wonder you’re not getting more cases…. If you’ve decided to start a newsletter for your legal practice, but don’t know where to begin, that’s ok. Don’t be afraid to start the process by doing some research. Our blog posts and videos will get you started. Often, an attorney will delegate the task of drafting a monthly newsletter out to a junior associate or paralegal. This is fine too, but not ideal. It becomes expensive and frustrating trying to manage the process. The better option is to outsource it to a company like us. So… yes, we’re biased – but we know what we’re talking about. A practicing lawyer created and runs BAR Digital Media. We’re not a bunch of marketing blow-hards. We are passionate about our work. Just give us a call and find out. If you have questions about using our service to produce your monthly newsletter, give us a call. Author AdministratorPosted on January 4, 2019 January 4, 2019 Categories NewslettersLeave a comment on What’s Behind the Rising Popularity of Legal Newsletters? If you research marketing techniques, you’re bound to find recommendations on writing a digital newsletter. And if you’re an attorney, chances are good you’ve resisted the idea of implementing a newsletter into your marketing strategy. Well, it’s time to stop resisting. Newsletters are good for any business, and they’re particularly good for those who work in the legal profession. Lawyers have a unique skill set that pairs well with newsletter campaigns. Most lawyers also rely heavily on referrals in order to make money, and newsletters are perfect for developing referral networks. This article was written to briefly discuss some of the reasons why attorneys should be thinking about adding a newsletter to their marketing repertoire. Keep reading to learn more. Call to find out how we can help you get started. If you’ve spent any amount of time searching through our blog here at Bar Digital Media, you know that we spend a lot of time hammering away at the importance of an attorney’s referral network. We’re talking about those colleagues, family members, friends and former clients whose contact information you’ve stored over the years. We’ve said it before, and we’ll say it again: your referral network is the goose that lays golden eggs. Strong data shows that referrals are a vital component in the practice of law. Both the American Bar Association and Clio’s Legal Trend Report have conducted surveys on the issue and found that most attorneys grab the largest chunk of their business from referrals. The beauty of newsletters is that they are designed to target your referral network. A short, well-written monthly newsletter reminds your contacts of the work you do and the value that you bring to your clients’ lives. This allows you to remain at the top of your contacts minds so that when the day comes they need an attorney, you’re the first person they think of. Referred clients are the best kind of clients because they are pre-screened. Compare this with the people who sometimes call your office out of the blue, convinced they have a Supreme Court case. You’ve got to feel for folks answering the phones at those firms that advertise on billboards and bus benches. There are a number of ways to get referrals: you can call your colleagues on the phone and negotiate agreements, you can go to networking events, you can sit on the board of a local bar association and make friends with strangers. These methods are great. Some people really enjoy networking and making small talk with strangers. A lot of us don’t. For those who don’t have time to continue intense person-to-person networking, the newsletter is a great way to repeatedly reach out to contacts and remind them that you exist. For those that do enjoy person to person, the newsletter is just one more tool you can use. The beautiful thing, is that, if done properly, it helps you reach more people for much less effort. After all, scale is important in marketing. There are a lot of different businesses out there that make use of newsletters. But few of these businesses have the same potential as attorneys to offer their contacts something of value with each newsletter. Attorneys are founts of complex legal knowledge. Ask yourself how many times you’ve been to a cocktail party or family dinner and someone starts asking you for legal advice. Maybe you offer what information you can, the person thanks you, and that’s the last you hear of the matter. You’ve done your good deed for the day. With a newsletter, you have the opportunity to turn those little nuggets of legal information into monthly reminders that you are open for business. And you do this each month with a contact list that ranges from hundreds to thousands of people. There will come a time when these contacts, or their friends, or relatives need a lawyer. When this time comes, you want them to remember who you are, and what you do. Attorneys have lots of options when it comes to marketing their business: networking, website building, blogging, maintaining a multi-platform social media presence, etc. Each of these things takes time. It will be hard to find a more efficient marketing technique than a newsletter. Be sure to read our article comparing newsletters to blogging. Effective newsletters are be drafted in as few as 250 words. While you should hire someone to do this, you can do it if you have time. While drafting 250 words still takes time, it doesn’t compare to the work a 2,000-word blog post requires. It certainly doesn’t come close to the daily updates required by various social media platforms. It just makes sense. If you’re a frustrated by a lack of growth, a newsletter could be the strategy you’ve been looking for. Without a good newsletter in your marketing kit, you could be missing out. As with anything else in life, success starts with a decision. And once you decide a newsletter is for you, you’ll want to do your research. While there are many ways to execute a digital newsletter campaign, BAR Digital media offers a service that does most of the heavy lifting for you. We offer our service at a reasonable cost. Associates can even afford it (they can probably expensed it to your employer). You also have the option of either doing the newsletter yourself, or delegating to a junior associate or staffer. Just be sure you research best practices and put together the best newsletter possible. If you have questions about how to begin call our office and find out how we can help. It’s no surprise that many attorneys react to the thought of doing a newsletter with the enthusiasm of a sloth. Legal marketing requires the attorney to step away from practicing law to work on something that often seems to result in disappointment. On top of this, “newsletters” seem old fashioned. They seem very 2005. Blogging, social media, and SEO sound much sexier. But when done properly, newsletters are highly effective at generating clients, much better than blogging (especially when considering your time investment). But the difference lies also in the kinds of leads you’ll get. There is a significant difference between referral from friends and cold leads from the internet (hint – newsletters = warm referrals). Keep reading to learn how newsletters outshine blogging in almost every respect of attorney marketing. We’ll also explain how you can outsource your newsletters to make it your time investment extraordinarily minimal. And yes (before you start speculating), BAR Digital Media offers a newsletter service for lawyers. So, yes, I’m biased and I have a financial motive for this post. But also know this… I was a full time litigator for five years, I started my own firm, and I’ve generated a lot of clients using both methods. My success in getting clients is why I decided to start BAR Digital Media, Inc. So, I know what I’m talking about and I’ll stake my reputation on it. Before going any further, let it be said that we’re well aware of the irony of us criticizing blogging by way of a blog. But here is the honest truth…. blogging is overrated. Why? Because relationships rule the legal profession. And blogs do not account for the rules of relationships. There was a time when the blog was considered the future of attorney marketing. The allure is that you take the time to post a blog article once, and then it would forever entice potential clients to contact you. It’s nice when it works, but it rarely works like that. There are so many factors like domain authority, inbound links, the quality of those links, title tags, meta tags, time on page, etc. Most lawyers don’t have time to master these things. That’s not to say blogging can’t work well. It does for me and lots of lawyers. But increasing competition makes it harder each year. More importantly, producing good content consistently is a commitment that most lawyers fail to keep. Finally, most lawyers don’t have the patience, temperament, or infrastructure in place to slog through lots of potential cold leads each day. Moreover, blogging is a passive approach to marketing, which affords the attorney less control. You are at the mercy of the algorithm, competition, SEO best practices, technical hurdles, and more. When done properly, newsletters, on the other hand, are all about maintaining and strengthening relationships. Since referrals are based on relationships, your newsletter is an effort to get more referrals from your friends, colleagues, and extended referral network. Relationships are how lawyers get the majority of their cases. Moreover, newsletters are a way of proactively attacking your marketing, not waiting around for Google’s mystical algorithm to work for you. You have control over who sees the content and when. Think about it. A blog more or less sits on a website. Ideally, every step has been taken to ensure that the blog finds itself in front of the right set of eyes. But there are no guarantees your content will end up in front of a potential client on any given day. It’s a bit like casting a line in a vast ocean and hoping the right fish—the fish that wants to hire you for your legal expertise — will bite. If you’ve been practicing law for any amount of time, you’ve probably developed a decent contact list. This list is filled with former clients, potential clients, family, friends and colleagues. These are the people who know your work, who trust you, and who are likely to refer business your way. Additionally, these are people you want to work with. These folks will refer good business your way as long as you manage to stay at the top of their minds. And a quality newsletter is a great way to do that at scale. Unlike the write, watch, and wait approach of a blog, a good newsletter actively informs the people on your contact list of the type of cases and matters you handle. And it just so seems to happen, when you’re connecting with people who are in a position to refer work to you, it seems to happen naturally. There are topics, particularly in the legal profession, that are impossible to explain in a few sentences. This is another key reason why blogging can be an important tool in the legal marketing tool kit. But good luck if you’re a family attorney trying to keep the word count on a blog post about Gavron warnings under a thousand. And good luck trying to keep your readers’ attention all the way to the end of a post like that. It’s just a fact of life, legal blogging takes a lot of time and it’s very difficult to delegate it down to a paralegal or law clerk. On top of that, you have to blog consistently and regularly to have a maximum impact. Meanwhile, a good newsletter can be drafted with as few as 200 words. And they’re typically sent out to hundreds of contacts using an automated system once or twice a month. By targeting your list of contacts with a well-written newsletter that’s short and features some nugget of wisdom or bit of humor, you’re more likely to stay at the top of your contacts’ minds. No one’s suggesting you have to choose between blogging or monthly newsletters. In fact, newsletters are a source of inspiration for blog posts. They can be reconstituted into new blogs after being disseminated to your referral network. Newsletters can also contain links to existing blog posts and drive traffic to your website. Herein lies yet another advantage of the newsletter. Ideally, if you’re sharing newsletter content on social media platforms such as Facebook, you have an opportunity to sign followers up for your newsletter subscription, thereby increasing your network. This is something not as easily done through a blog. Remember, a blog basically sits on your website. People might find content there, however, if you blog infrequently, it’s probable no one will see a prompt to join your newsletter buried in the content there. Should You Do a Newsletter In-House or Outsource it? Even if you’re an attorney who maintains a blog and posts regularly, you should definitely considering doing an e-newsletter to stay on top of your contacts’ minds. You’re losing out on a large chunk of referral business if you don’t. The obvious question you’ll want to ask yourself before setting out on this venture is whether or not you’ll handle the newsletter yourself, delegate it to an employee, or outsource it to a newsletter service. As you can see, doing a newsletter on your own will take substantial time away from practicing law. Even if you decide to delegate it down, it’s a lot of attorney and oversight time. However, outsourcing this job to a company like BAR Digital Media represents a cost and time-effective way to produce a stellar newsletter. Most of the heavy lifting is done by someone who’s sole focus is on writing newsletters. I’m a lawyer. Your newsletter is written or reviewed by yours truly. If you’re interested in learning about our newsletter services, click here.